Did you know that you should service your transmission ever 50,000 miles as well as check your transmission fluid often? You should get in the habit of checking your transmission fluid each time you get an oil change. If your transmission has a filler and dipstick, you can easily check it yourself by following the steps below! (If your transmission does not have this, you may need to stop in to one of our stores to see a transmission specialist). Make sure the engine is at normal operating temperature. Your vehicle should be placed in park on a level ground surface with your parking brake on. Now you need to find the transmission filler tube. Once you have found it, remove the dipstick and wipe it dry with a clean rag. (Some new transmissions do not have a filler tube. If this is your situation, don’t hesitate to give us a call). Grab a clean funnel and place it in the dipstick tube. Repeat the process to check the new level of your transmission fluid. You should also check the condition of your transmission fluid. The fluid should be clear and should not have a burnt odor. An automatic transmission is a hydraulic system that operates on pressurized oil (fluid). This fluid lubricates the transmission and applies various friction devices such as (clutches and bands) at specific times to change gears and transfer power from the engine to the drive wheels. When the fluid drops below a secure level, lubrication and hydraulic pressure decrease, causing extreme wear to major transmission components and in some cases, immediate failure. With the large number of self-service gas stations, drivers are not checking fluid levels of many major vehicle systems, as they should. These include motor oil, brake and power steering fluid, antifreeze, windshield washer fluid, and of course, transmission fluid. If you park on the street or in different spaces everyday check for oil stains before and after you’ve parked there to see if you left any new one. If you have noticed there is a leak please feel free to bring your vehicle by one of our many location for one of our technicians to verify where the leak is coming from. With all the heat the St. Louis area has seen this summer is it causing vehicles to work overtime therefore poorly maintenanced vehicles are breaking. Just a couple minutes can save you a large repair bill. If you are not sure how to check your fluids please come by and we will teach you how. 1. The check engine light is on. 2. Your transmission is not shifting like it usually does. 3. When shifting from gear to gear as you are accelerating the shifts seem too firm or too soft. 4. When driving and trying to accelerate, if your RPMs are rising but you are not accelerating, your internal clutches could be slipping. 5. Fluid is leaking on to your driveway, garage floor or ground and the fluid is red. 6. Your vehicle goes into “Limp Mode”. This can occur when your check engine light is on and you are trying to pull away. You will notice that your acceleration is very poor because your onboard computer is putting the transmission into second gear as you accelerate. 7. When accelerating onto a highway and you are going through the gears to reach highway speed your RPMs do not drop. This is called going into “Lock Up”. 8. You notice a decrease in fuel mileage. 9. You hear a strange noise or noises as the car is shifting gears. Double check the air pressure in your tires and make sure it is correct. You can check the door plaque on the driver’s side of the vehicle to see the manufacturer’s recommended pressure. Don’t forget to check your spare tire! Check the depth of the tread on your tires. To make sure your tread is deep enough try the penny trick. Insert a penny in the tread – if the tread doesn’t go to or cover Lincoln’s head you need new tires. Check your washer fluid to make sure it is filled with non-freezing fluid. On vans or SUVs don’t forget your rear washer fluid. Check your coolant level on the overflow container. There is a mark on the container showing the level for a hot or cold vehicle. Check your oil level using the fill lines on your dipstick. Check your transmission fluid. Usually you can find the directions to do this on your transmission’s dipstick or in your owner’s manual. Some cars do not have a dipstick, if so, you can bring them to one of our locations where we have the equipment to check them. One of our technicians will do this free of charge. Check your wiper blades to make sure they are not torn or broken. If you have an SUV or a van don’t forget to check your rear wiper. It is recommended that you check your wipers yearly. You might want to purchase and/or assemble an emergency kit to carry in your vehicle. It should include a blanket, jumper cables, reflectors, a candle, a flashlight and a hat and gloves. You can find emergency kits at many stores including any Wal-Mart or Target. Be sure come in to one of our locations this month for a free 32-point inspection! 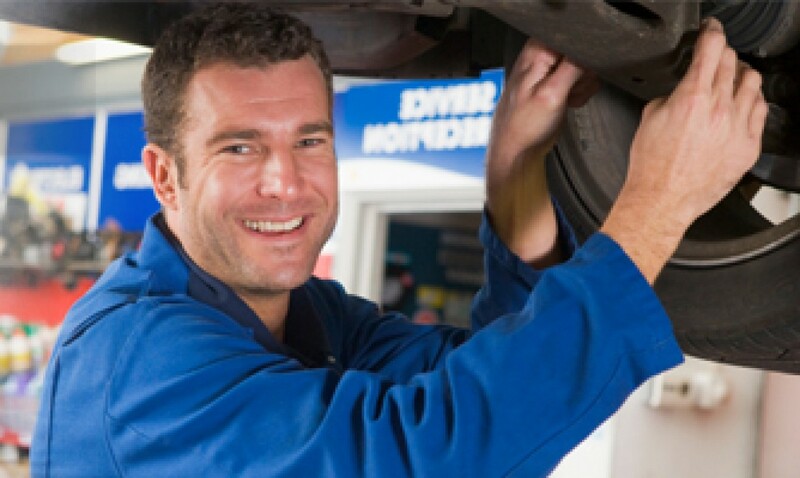 We’ll make sure your car is ready for the road this winter! Happy Holidays from The St. Louis Transmission Association!